We’ve learned to expect the unexpected from parity-filled Major League Soccer and 2017 is no different. Teams are bouncing up and down the standings every week, with each conference so close that even last-place Minnesota United could win a couple times and vault past the Western Conference red line. At the halfway point, there are a number of surprises worth looking at, some team and some individual. In this article, we’re just looking at the top five, because we only have so much time. Pablo Mastroeni’s “Heart and Spirit” Colorado Rapids rode an MVP-caliber performance from Sam Cronin, a Defensive Player of the Year-caliber performance from Axel Sjoberg and the best backline in the league to a second place finish in the west last year. They allowed 32 goals in 34 games despite giving up five in one match against NYCFC, and at one point were on pace to become a historically great defensive team thanks to their compact, organized shape and dominant cast of defenders. Their lack of goalscoring was a notorious flaw, though, and the 39 goals they managed to score ranked tied for second to last in the league. The “win at home 1-0 and draw on the road 0-0” formula worked well enough to put them in serious Supporters’ Shield contention, but was always going to be unsustainable. Many doubted their ability to keep it up this year, and those doubters were validated. Colorado are second-to-last in the west, with 19 goals and 19 points from 18 games, putting them five points off the playoff pace. They, incredibly, have seven losses from seven road games, meaning all of their points have come from their 11 home matches. Given they’ll have a plurality of away games in the second half, that fact will not comfort suffering Rapids fans. Cronin and starting right back Marc Burch were traded (they’ve since fixed Minnesota) for a pair of mid-20s midfielders, Mohammed Saeid and Joshua Gatt. While Saeid and Gatt have been good for Colorado, holes are prevalent throughout the roster, and the front office does not have much of a buying track record outside of Tim Howard. There are, I guess, some pieces in place (Marlon Hairston, Michael Azira), but the talent deficiency up top is too big to overcome at this point. However, much heart and spirit they bring is not enough, right now, to push their way back over the red line. At this point last season, the Sounders were near the bottom of the Western Conference and were two weeks away from firing coach Sigi Schmid. Then they added Argentine creator Nicolas Lodeiro as a DP No. 10, stormed back up the standings and beat Toronto FC in penalties in the MLS Cup Final. You know the story by now. Clint Dempsey returned at the beginning of this year from a heart condition, and if the four games Dempsey and Lodeiro played together last season tell us anything, it’s that Seattle should be virtually unbeatable with the combination of those two plus Jordan Morris in attack. But that has not been true this season. Far from it. Seattle are seventh in the west right now, tied with Vancouver having played two more games. Lodeiro’s been off his game, Morris has yet to score, and Dempsey seems invisible when he’s on the field with them. For reasons that the Sounders may not have even figured out completely yet, their attack has been out of sync this year, and it’s yet to be fixed. 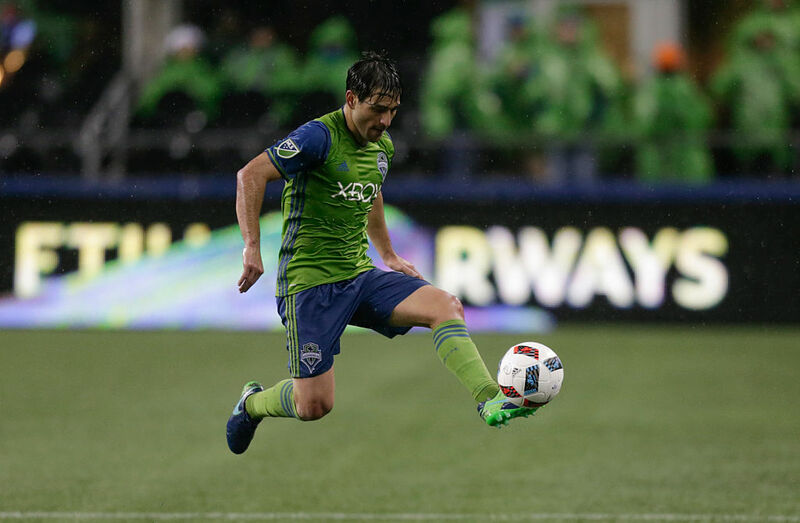 In addition, right back has been a problem position for them after Tyrone Mears left in the offseason and Brad Evans suffered an injury, and Roman Torres has either been injured or struggling in central defense. Things haven’t come together for Seattle, who should be, on paper, one of MLS’ best teams. Reinforcements should be arriving this transfer window, likely in the form of a DP winger or center forward. That should, theoretically, spark another second half sprint up the standings and another playoff run, or at least that’s the formula. Their loads of allocation money and open DP slot make it likely to happen. It’s still interesting to try and dissect what went wrong this group, though. The upper tier of MLS clubs includes fives squads: Chicago, Toronto, Dallas, NYCFC, and Sporting KC. That’s the consensus, it seems, and reasonably so. Those are the five best teams in the league, although not necessarily in that order. What has elevated them past expectations has been the performance of their entire defensive crew, which has been incredible in a year that, outside of them and Dallas, has not been kind to MLS defenses. SKC have allowed 14 goals in 20 games, with eight clean sheets and just eight open play goals allowed. Tim Melia has essentially already won Goalkeeper of the Year. Ike Opara has been really, really good this year, and he can start preparing a Defender of the Year trophy case now. Matt Besler has also been solid as his partner in central defense, and Zusi has been a revelation on the right side. Seth Sinovic has been great at left back as well, and it only gets more impressive when you realize that one of last year’s best full backs, Saad Abdul-Salaam, is sitting on the bench. Defensive midfield newcomer Ilie Sanchez has been just as crucial and the former Barcelona academy player reminds SKC fans of another former Barcelona academy player, Oriol Rosell. U.S. youth national team sensation Erik Palmer-Brown has recently returned and has been great in his appearances, which, assuming he isn’t sold for big money to a major European club this summer, will be huge in the coming weeks after Opara suffered a serious head injury in U.S. Open Cup play and will be out for an extended period of time. Imagine for a second a three-man backline of Opara, Besler and Palmer-Brown. Deadly. Last year, the Houston Dynamo were the dullest team in MLS, and it wasn’t particularly close. Interim coach Wade Barrett decided the best formula to get results for his last-place team was to bunker out 0-0 draws every week, and while he didn’t have very many other options given the Dynamo’s utter lack of talent last season, it didn’t make for fun games. It also got them to last place in the conference. New coach Wilmer Cabrera, hired in the offseason, decided along with the front office to take the exact opposite route this season. Dynamic Honduran wingers Alberth Elis and Romell Quioto (21 and 25) joined the fold to go along with a rejuvenated Erick ‘Cubo’ Torres and one of the few bright spots from 2016, forward Mauro Manotas. The glut of speedy attacking talent got off to a scorching start to the season, scoring two, three and four goals in their first three home games of the year and later putting up an additional four and five in wins. Interestingly, they’ve become the masters of drawing penalty kicks this year (five of Torres’s 12 goals this year are PKs). More interestingly, they are only their lethal counter attacking selves at home: 26 of their 28 points have come from home games, and they’ve lost seven of their nine road matches. It’s a drastic difference. Still, though, they should only get better in the second half of the season, as Elis and Quioto stay healthy and Cabrera attempts to figure out what’s so different away from BBVA Compass Stadium. In addition, Houston signed Argentinian Tomas Martinez from Portuguese side Braga as their DP No. 10, which will allow Alex to move back to his natural No. 8 position in midfield and will give Houston the midfield distribution they’ve needed for a long time. Last year, the Chicago Fire earned the Wooden Spoon award, given to MLS’ worst team at the end of the season. It was their second straight Wooden Spoon. Veljko Paunovic started imprinting his influence on the team when he became coach before last year, but the offseason before 2017 was truly when he became the leader of this team, and that has spurred the Fire immediately to the top of the league. To go along with 2016, backline signings Joao Meira and Johan Kappelhof and star winger David Accam, Hungarian striker Nemanja Nikolic, Red Bulls d-mid Dax McCarty, and Liga MX player and former MLS midfielder Juninho arrived to help build the foundation of a juggernaut. That was a solid core. But then they acquired Bastian Schweinsteiger to play in midfield and they moved Matt Polster to right back, both of which gave Paunovic the on-field talent to implement his style (although one helped more than the other). 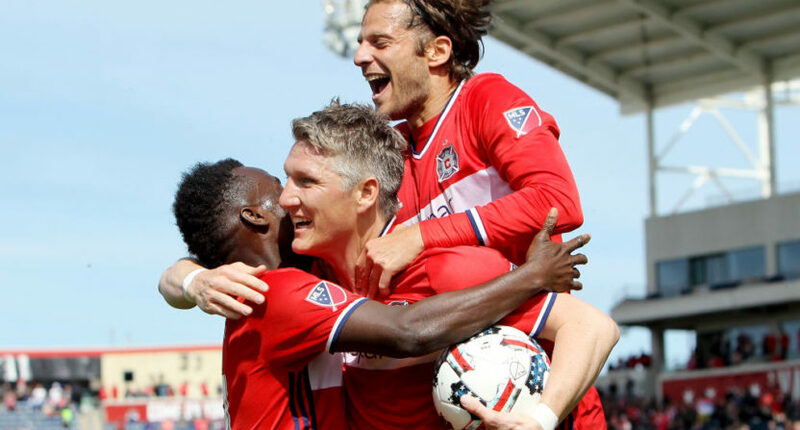 Concerns about Schweinsteiger’s tactical fit with the team have mostly been assuaged, and the Fire are now sitting pretty on top of the Eastern Conference. Their beautiful possession-based style of soccer has fit the team perfectly, and it makes them one of the most watchable teams in the league. They’ve made a point of building through the deep distribution of McCarty and Schweinsteiger, two of the best passing mids in the league, and then playing it through to Nikolic, a clinical finisher and the MLS Golden Boot leader. Add in the overlapping of Polster and Brandon Vincent and the dynamism of Accam out on the wing and you have a really, really good team. Paunovic has done a phenomenal job with this squad, and it’s only getting better with the rumored arrival of winger Juan Quintero.